Each pendant supplied with a 2 metre cable and attached to a ceiling rose. These three Kings arrive bearing black. This trio of King Edison Black Pendants hang together harmoniously, originating from a singular ceiling rose. The 'King Edison Black' pendant lamp designed by Young & Battaglia, combines the pure simplicity of an Edison light bulb with the romance and glamour of a Kings chandelier. 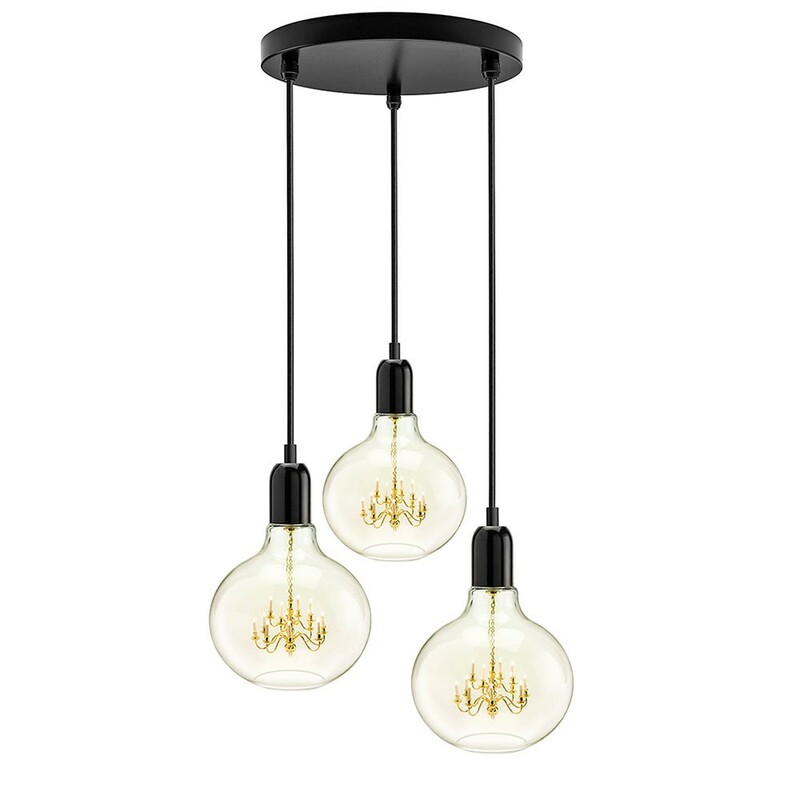 It consists of a miniature brass chandelier inside a hand-blown clear glass shade.